The picture book was written as a prayer of healing for those who are depressed and in despair. We wish your anxiety, depression and mental stress will be healed soon. There is little I can do for those who are suffering now. However I have written this picture book as a prayer to all those who may have lost hope in times of despair. Extending my prayers to you. 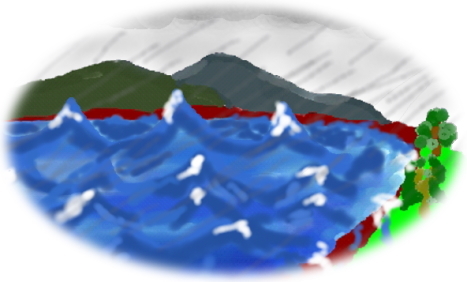 Here is the PDF file for the picture book 'Storm and Lake'.